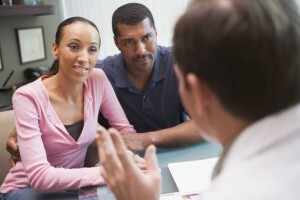 Understanding the causes of infertility is important. Infertility affects between 6-11% of women ages 15-44 years old in the United States, or an average of 10-15% of couples. In addition, more than 7% of men aged 45 or younger report seeking help from a fertility doctor during their lifetime. In fact, infertility is one of the most common diseases for people ages 20-45. However, there are solutions to the problem of infertility, thanks to reproductive specialists such as Dr. Victor Beshay of DFW Center for Fertility & IVF in Allen. Suffer recurring pregnancy loss (two or more spontaneous miscarriages). Those are the broad characteristics of what constitutes infertility, but the causes can be wide ranging and attributed to the female, the male, the environment or any number of combined issues. Infertility evaluations may also fail to identify a specific problem and in these cases is called “unexplained” infertility. Primary infertility refers to couples unable to conceive their first child after at least one year of trying without birth control. Secondary infertility applies to those unable to conceive again after already successfully having a child. Polycystic ovary syndrome, a hormone imbalance problem that interferes with normal ovulation. In addition to these wide-ranging health conditions, the simple act of aging can impact a patient’s fertility, no matter if you are a male or a female. However, aging effects on fertility in women are much more significant than in men. Women are born with a set number of eggs and, as they age, these are not replenished. In addition, as eggs age they also lose quality, reducing the chances of a successful pregnancy. According to the American Society of Reproductive Medicine, a healthy woman in her 20’s and 30’s has at least a 25-30% chance of conceiving a child every time she ovulates. By the time a woman enters her 40’s however, that chance drops to 10% or less. Age may also contribute to other health problems in both men and women, which also impact their overall fertility rate. No matter what may be the cause of your infertility, any problem conceiving a child should be investigated with the help of a reproductive endocrinologist like Dr. Victor Beshay of DFW Center for Fertility & IVF. Our fertility clinic offers the full range of medical services including examinations, diagnostic testing, lab tests, fertility treatments and support services. Contact us online or call 469-854-0305 to set up your appointment.